WHEN they nurses at the Warwick Hospital aren't stitching up patients they've been turning their needles to other work. 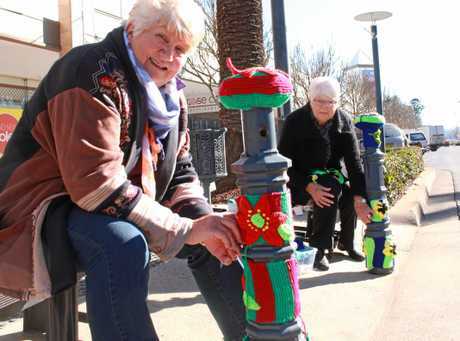 Warwick's Jumpers and Jazz in July festival has given the dedicated carers a creative outlet for their skills and their stunning display is coming together as we speak. On the day before the festival officially begins, Warwick's heart is aflutter with people putting up the stunning displays they have been working on for months. 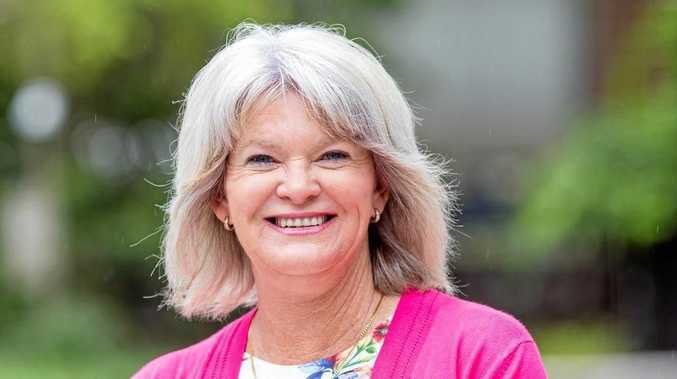 Director of nursing Anita Bolton said there were many elements to the hospital's beautiful tree jumper display on Fitzroy St.
"We've chosen Florence Nightingale because she is a leading figure for nurses,” Ms Bolton said. The tree is full of quirky symbols, like a black bat to represent the night shift workers who are affectionately nicknamed "bat girls”. 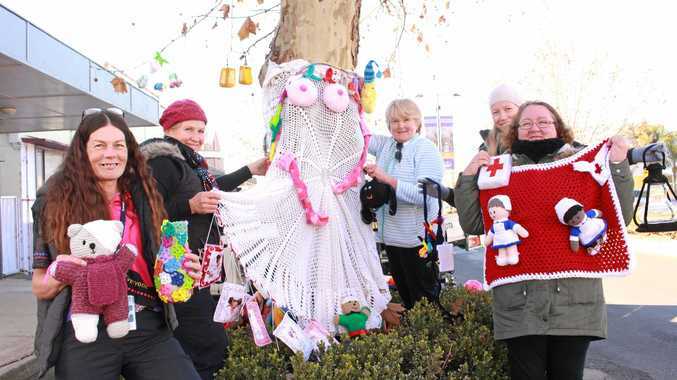 The nurses were among dozens of volunteers out and about putting up vibrant displays as quirky tree jumpers go up all around Warwick's CBD this early morning. By the end of the day, most of the trees will be warm, cosy and brimming with love. 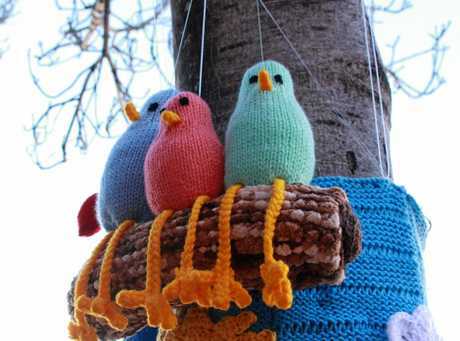 For the first time in festival history, businesses are also getting in on the competitive yarn-bombing action. 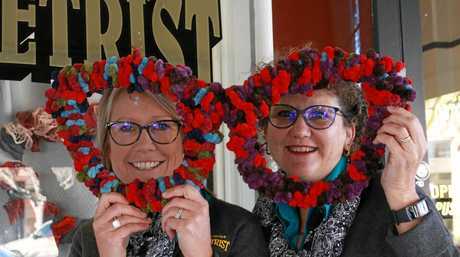 Sally Hoffman and Louise Donnellan from Chas Sankey Fraser Optometrist have both been using their cushioned specs to keep an eye on all the amazing displays going up outside their shop on Palmerin St.
A little further down the street, Val Grayson and Jeanette Braithwaite are lending their skills to cover the bollards outside Rose City Shoppingworld with colourful patterns.